The patient presents with multiple outpouchings of the skin, some of which are in a linear arrangement. 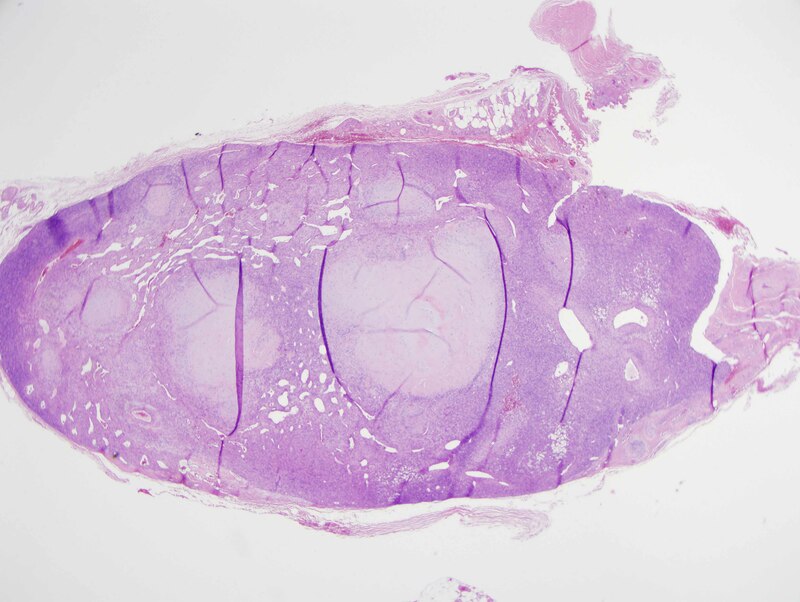 The findings are those of a pseudoxanthoma elasticum-like papillary dermal elastolysis. Papillary dermal elastolysis is considered an intrinsic aging phenomenon, whereby it is possible that there may be a role for light exposure in exacerbating this condition reflecting upregulation of metalloproteinases. 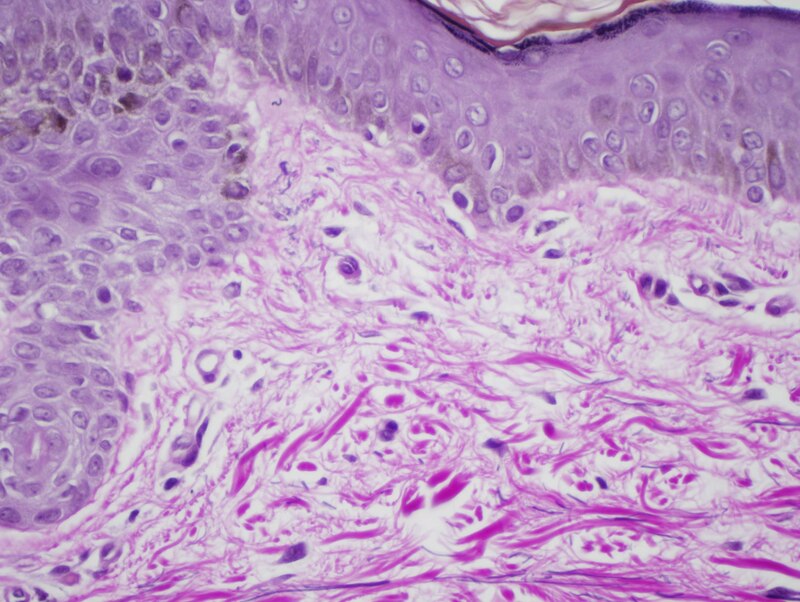 There are likely other local cytokine factors that lead to the degradation of the superficial elastic fiber plexus. Closely related to papillary dermal elastolysis is fibroelastolytic papulosis of the neck. It too presents with mildly pruritic whitish/yellow papules that coalesce into a cobblestone patterned plaque that resembles pseudoxanthoma elasticum. 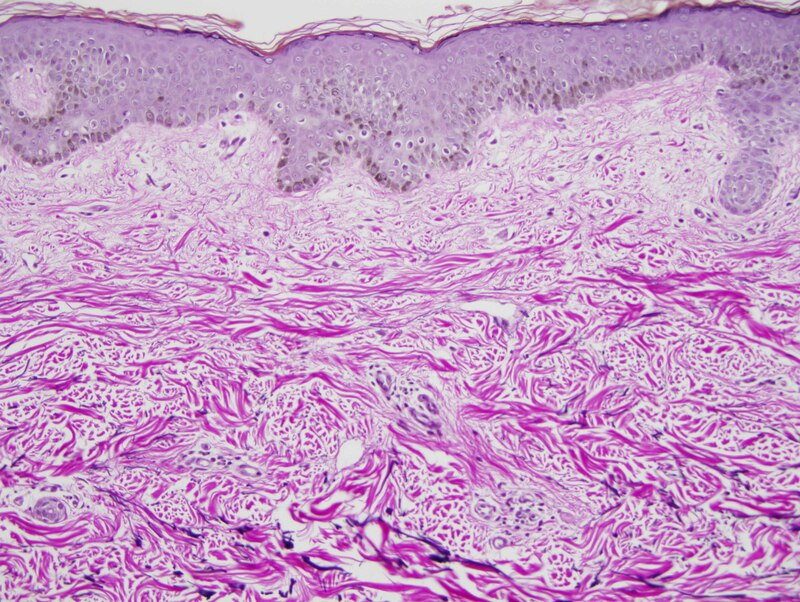 The histology shows a decrease or loss of elastic fibers in the papillary dermis cognate to the changes noted in papillary dermal elastolysis but accompanied by an increase in dermal collagen. 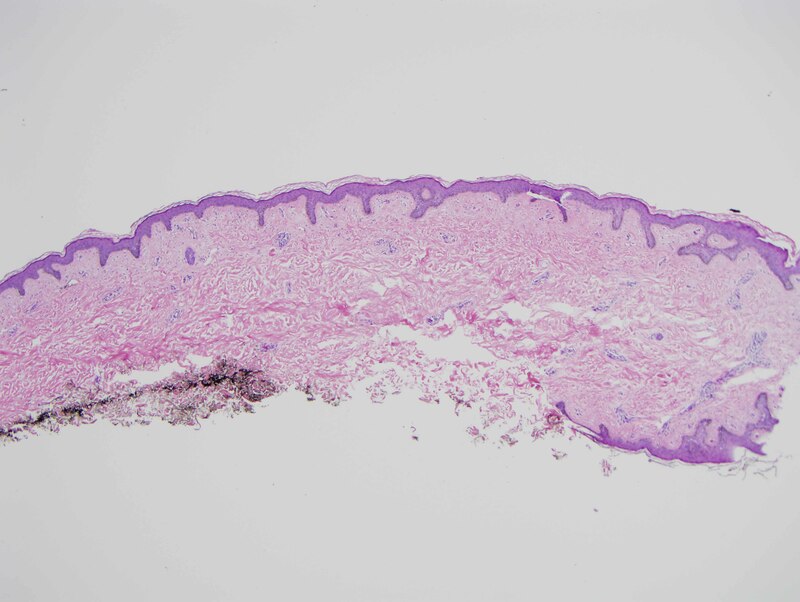 While most of the cases of papillary dermal elastolysis occur in women, it has been reported in men as well especially the fibrotic variant (i.e. 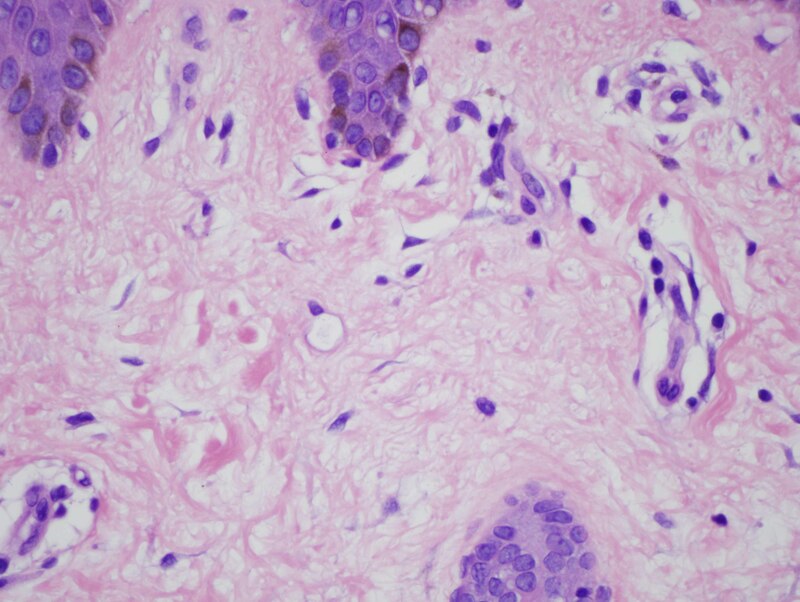 fibroelastolytic papulosis).